For sale is a grouping of NOS Thompson M1 parts. 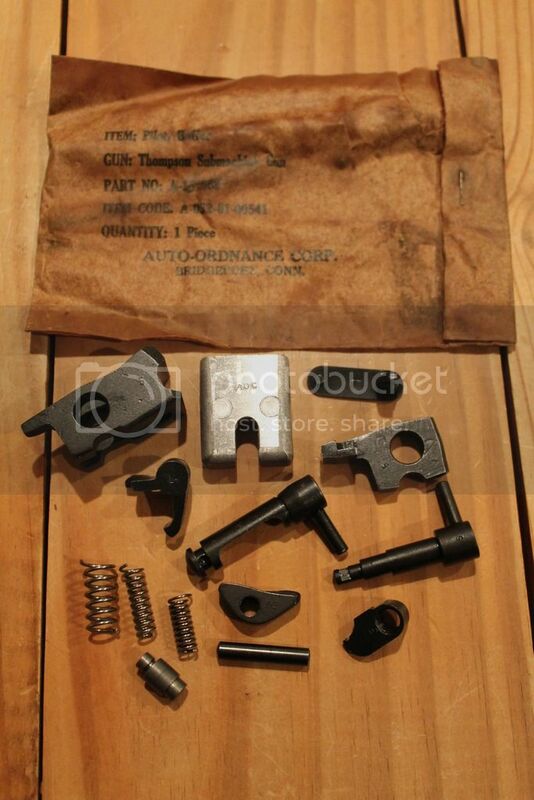 Parts included are hammer, hammer pin, sear, sear lever, sear spring, disconnector, disconnector spring, rocker, pin style safety and fire control levers, ejector, buffer, frame latch pin, trigger spring, and a pilot buffer rod still sealed in the original WW2 Auto-Ordnance packaging. All parts are WW2 manufacture and are either Stevens or Savage marked with the exception of the buffer which is (AOC), the hammer (cc) and the ejector (T). $150 shipped in the lower 48. Payment by United States Postal Service money order only.